Williamsburg Bridge Plaza. Image courtesy of Forgotten NY. I’ve been fascinated with Williamsburg during my two stints living here, and my research into its past has reaffirmed that it is the most interesting neighborhood in the city. For hundreds of years, this is where cultures have clashed and swirled, industries have risen and fallen, and real estate now rides the crest of a turbulent wave that has crashed before. It was a haunt of Captain Kidd, ravaged by German occupiers during the Revolution, an upscale suburb turned booming city turned industrial tenement. There’s something unique about staring right across at Manhattan, yet isolated from it, cut off from the rest of the metropolis by swamps and creeks. And that’s just the old history. There have been half-hearted attempts at capturing Williamsburg’s story before, but history shies from the recent past. That is why I am calling on you. If you have relatives who grew up or lived in Williamsburg, I’d love to talk to them. If you shared a loft and saw indie shows here in the 90s and early 2000s, fought in the Vito Lopez political wars, or work in real estate as the boom continues, we need to talk. I want to leave no stone unturned. 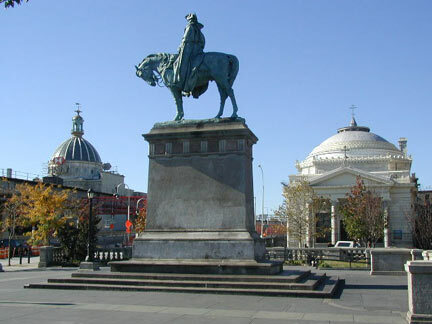 Over the next few months I’ll be posting stories and quotes from Williamsburg(h), which lost its “h” in the 1850s, but got it back in the late 20th century with the arrival of Hispanics, Hasids, and hipsters. Here’s a parting thought that speaks to the cycle of Williamsburg’s history: “Many express their wonder at the rapid march and increase Williamsburgh has made, but to us the wonder is that she did not unfold her arms and extend her embrace sooner.” -Samuel Reynolds, 1852. Please reach out to me by emailing williamsburghistory@gmail.com or commenting below if you have a story about growing up, living in, or working in Wiliamsburg, or if you’ve got some cool old relatives who do. It was delightful meeting you in Charlotte! My ancestors, Melle Springsteen and his wife Geertruy Bartholds, were living at Cripplebush in 1680.